The state Public Utilities Commission has decided that Minnesota needs Enbridge Energy's new Line 3 oil pipeline. As Enbridge prepares for its final months of regulatory scrutiny, the debate over Line 3 is far from quiet. 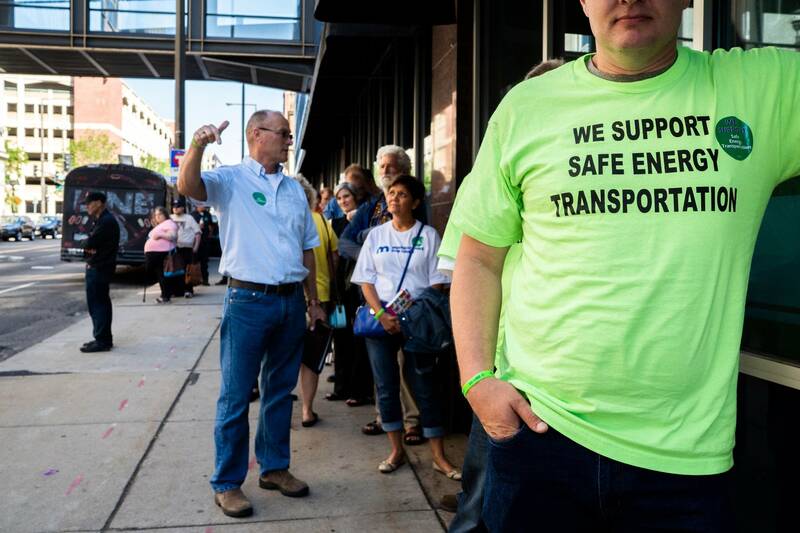 And what the project will mean to Minnesotans is still an open question. Pipeline opponents still say the pipeline's new route across Minnesota is too great a threat to sensitive natural areas, and that it will hasten climate change and violate Native American rights. On the other side, there are supporters who say the line is safer and a boost to the region's economy. MPR News reporter Dan Kraker speaks with Kevin Pranis, marketing manager for the the Laborers International Union of North America, and Tara Houska, national campaigns director for Honor the Earth. They also take listener calls from across Minnesota. Listen to the whole conversation by using the audio player above.